Little La Grange Farm (LLG) was established in 2015 to operate a working organic farm and St. Croix's Lawaetz Museum. It's purpose is to produce food for the people of the U.S. Virgin Islands and to educate the public about organic food production practices and the rich heritage of the Lawaetz Family, who migrated from Denmark in 1890. The location is on the National Historic Registry for its use as a farm and homestead for hundreds of years. ​Today, the LLG produces fruits and pork and is in the early stages of vegetable crop production. Pasture-raised hogs are used to consume fallen mangoes and to clear the old ruins from stone-rooting vines that destroy historic masonry. It's products are sold in the Ridge to Reef Farm's Community Supported Agriculture program (CSA) across the territory, and to the local public school system. LLG serves as a food hub for the territory's Farm to School program. Current weekly hours for tours are 11:00-16:00 Wednesdays and 10:00-14:00 Saturdays. Group tours may be made in advance for any day of the week. 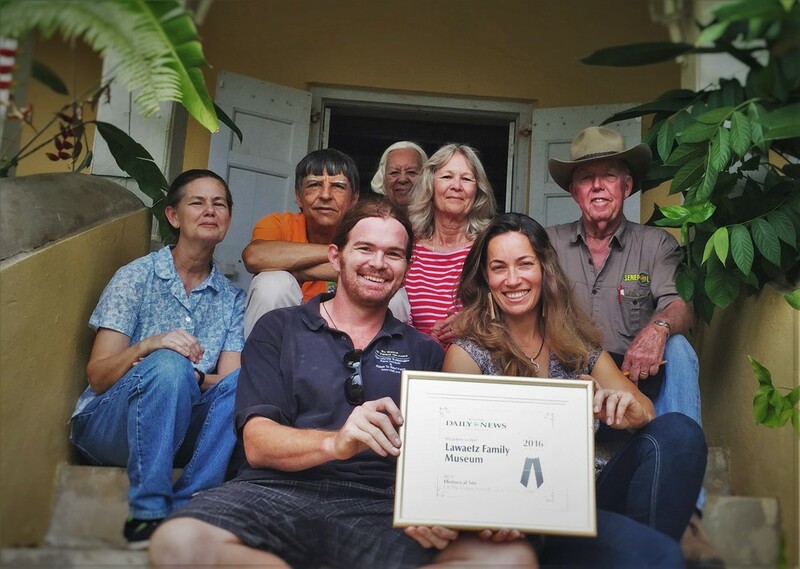 2016 "Best Historic Attraction on St. Croix"
Under new management by Ridge to Reef Farm and backed by the Lawaetz family, the Lawaetz Museum won the Daily News Reader's Poll Award for 2016. The farm is located about 1.5 miles from Frederiksted on the west coast of St. Croix, U.S.V.I.